I have said other places on this site that there are a few roles that in my opinion never needs to be re-cast. Immediately comes to mind is Jeremy Brett as Sherlock Holmes but certainly David Suchet as Poirot is very much a top contender for this. Suchet has gone a long way to making Poirot “his own” character. It’s interesting but a little while ago, I sat in front of my television captivated by watching an episode of Poirot from the first series. 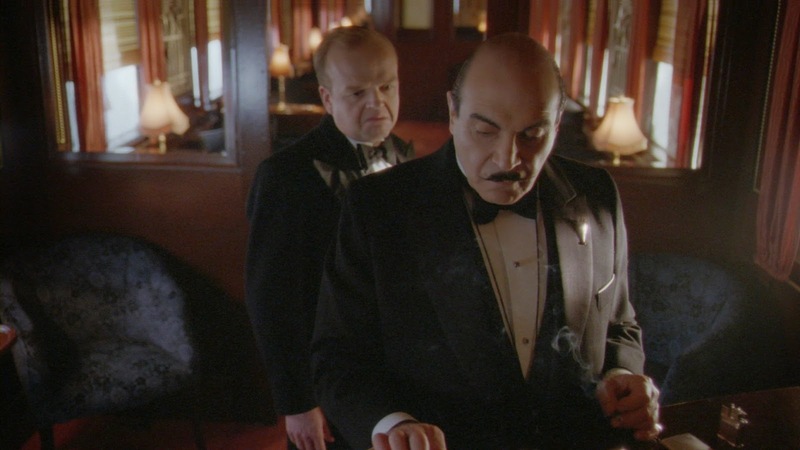 Suchet’s Poirot was no different than his Poirot in the set I am reviewing today. At the risk of sounding like someone who is saying the Suchet never expanded that character of Poirot, I can assure you that is not what I am saying at all. 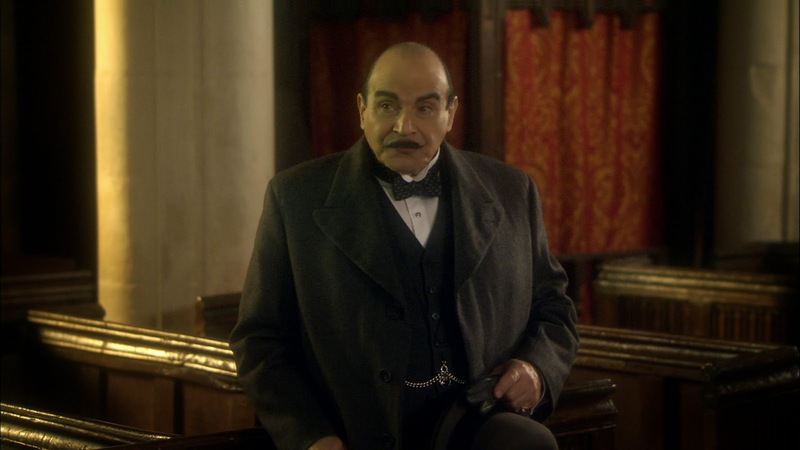 I am saying I will give you why I believe that Poirot is definitely played by David Suchet and why I think Poirot is the best series of an Agatha Christie adaptation. I think in the US, we are very lucky and I have a great deal of respect for Acorn Media. Since 2012, this company has been systematically releasing Agatha Christie’s Poirot on Blu Ray. If you are like me, you will be looking for the best looking presentation of your favorite sleuth. Maybe not so much for Series 12 which is what we will be looking at shortly but much more of the earlier series, when the series was an episodic adventure, that for years all we would see was murky film presentation of these episodes. The reason for that was because telecine technology, that is the technology of transferring film to video for editing and mastering purposes, was a lot more primitive than it is today. Why does this matter? Those episodes, as finished pieces, only existed on videotape. Standard definition videotape. 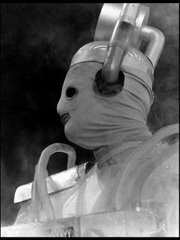 So if it were ever needed for any kind of HD presentation such as an HD broadcast or Blu Ray release, ITV Studios would need to go back to the original film elements and retransfer. I would think, though I am not sure, that the need did arise for Poirot to be conformed for HD use for broadcast reasons. I am making a guess on that since doing a re-transfer is quite expensive. Almost too expensive for just home media means. It means going back to find every scene (every correct take of the scene) and transfer it in HD. It’s miraculous to me that this footage even still exists! There is color correction and recreation of the opening and closing credits. It is an amazing amount of work. Currently there is only two countries that is getting this HD episodes on Blu Ray. It is the US and Spain. Mother England is not even getting these episodes in glorious HD. We, in the US, are really lucky. My local PBS station KTCA runs the older episodes every Sunday night. I watch them on their HD channel. The only problem is that they are running the old SD versions up-rezed and they look horrible. I just grab my Blu Rays and watch those. The difference between the two is shocking. In my opinion, the earlier episodes of Poirot really made a ridiculous effort of finding locations that highlighted the time period the series was set. I’ll watch those episodes and constantly finding myself shaking my head with how amazing these location look. These need to be seen in HD. Invest in the Blu Ray sets! Not many people around the world have access to these! As we get to Series 12 of Poirot, the overall series of Poirot has changed when the series moved from episodic television to TV movies. I felt the series lost some of its charm. For the most part, any of the regulars who were in the series prior were gone. This is mainly due to Christie moving away from these characters in her own novelizations. I felt that much of the action of the series centered around a murder or murders being committed and the rest of the film trying to get Poirot interview person after person to come to some kind of conclusion. I found watching those episodes (Series 8-10) a little laborious. I also felt, though this could just be me, that the series of films always tried to distance themselves from the series of episodes. Gone was the theme music. The film’s scope tried to be on a grander scale. This was hard to do since the series was pretty grand to begin with from the start. I felt Poirot himself became too serious. He’s not a man of joviality but there was a charm about the character that either became underplayed or lost. I only started to notice from Series 11 and Series 12 that some of these missing elements were starting to creep back in to the series. This is a good thing. As I watched Series 12, I started to remember why I love this series so much. No matter how much has changed there is at least one thing that stayed consistent: David Suchet. Suchet as Poirot is so much fun to watch. Although he has aged, he plays the character the same way he did back in Series 1. I love his mannerisms, I know how he is going to act when he eats or sleeps or gets upset over someone mishandling his coat or something else. He has a strong personality and is played pretty consistently. For being such a smaller person with a quiet demeanor, Poirot easily can command a room. Three Act Tragedy: Guests at successive dinner parties drop dead. Poirot teams up with an old friend to find the killer. This is a strong start to the series. 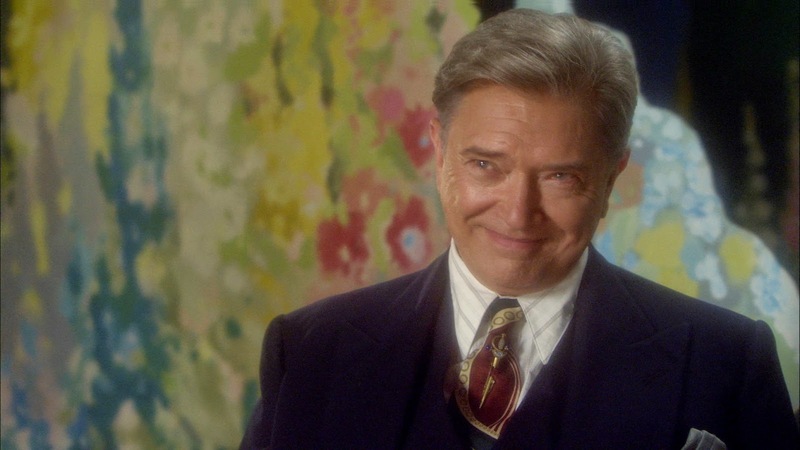 Poirot’s friend, Sir Charles Cartwright, is played by Martin Shaw who we also know in The Professionals, George Gently, and my televisual arch-enemy Beasts: Buddyboy. Read the article to find out why it is an arch-enemy of mine! Three Act Tragedy is a straight-forward who-done-it with the exception of Poirot’s friend wanting to “lead” the investigation. Sir Charles was a well-known actor who turned amateur sleuth. He figured that he could find out what was going on better than Poirot could. Knowing a little bit of the literary Poirot, I know that as the series goes on Poirot becomes less-famous and also a bit docile. In this episode, Poirot is following his friend around; letting his Sir Charles do all the inquiries. I was really surprised thinking the series may have been following this aspect of Poirot’s character. It was really odd to watch as Poirot took the back seat in every scene. Suddenly, Poirot looks at the “Investigation” and decides that he has allowed the amateurs enough fun and it was time for Poirot to take the case back. Of course that’s when it really starts to pick up. Hallowe’en Party: In some ways this episode feels like something out of Midsomer Murders where much of the plot surrounds the creepiness of the holiday and some of the rituals that surround this. Unfortunately, as one becomes seasoned with watching a ton of these murder mysteries, there are certain plot devices that happens which are meant to look like either accidents or everyday occurrences but in fact have serious meaning later on. These become very obvious as time goes on watching these programs. The plus side to it is that although some of these devices are obvious, their meaning may be far from obvious. This episode was written by Mark Gatiss. One character that had been introduced in the original novels that make her appearance in other series and this episode is Ariadne Oliver played by Zoe Wanamaker. It is said that Christie based this character after herself. I have always found the character to be irritating in the earlier stories she appeared in and I have only found her interesting in the last series or so. I don’t know if I would go as far as saying that I like her as a character but she is growing on me. I will be honest that some of that may have been on casting Zoe as Ariadne because I have never really warmed to anything she has been in. I know a lot of people really like her so they will probably enjoy her here. I smiled because this episode starts with a wonderful string arrangement of the original Poirot theme. To my ears, this theme started to be used again on and off in Series 11. I love that this is incorporated back into the series. It’s a good theme and I feel that good themes is what ties series together. The episode itself has some really nice and moody atmospheric moments. This is what make this series a treat to watch and it also reinforces my thoughts on some statements I made earlier. In the original series 1-6 great pains were made to find locations that fit into a very exacting art deco look that the series tried to retain. It worked really well. It was very impressive. This story takes place in a mansion. A mansion that could be found in anything from Midsomer Murders to House of Cards. A story does dictate a location but the direction of the series dictates what that location can look like. I feel that much of the art deco feel started to get abandoned more and more as the series moved into the film format. The answer to why this is may lie in a later episode. Murder on the Orient Express: This is the Hound of the Baskervilles of the Poirot canon. People have waited years to see the David Suchet Poirot take on this episode. This is the grand-daddy. They pulled out all the stops to get some incredible talent in it such as Toby Jones, David Morrissey, and Hugh Bonneville. There are a lot of visual, symbolic moments that to me really try to force us into feeling a certain way about the themes that are being raised in this film. There are some great claustrophobic moments on the train as it is moving along on its journey before it gets stuck. The score to the episode is chilling. Why do I not like this episode so much? I have actually gown to like it more but I feel it tries too hard to be the signature piece it so badly is trying to be. It wants to be that iconic film version that does the original source material proud. My problem is that after only confining myself to the episodic adventure of Poirot from Series 1-6, this is the first movie episode I saw after those episodes. I jumped ahead. Granted this was a couple of years ago but the change in the series was shocking. I am even going to back-peddle a bit from what I wrote earlier and say that even Poirot had changed. 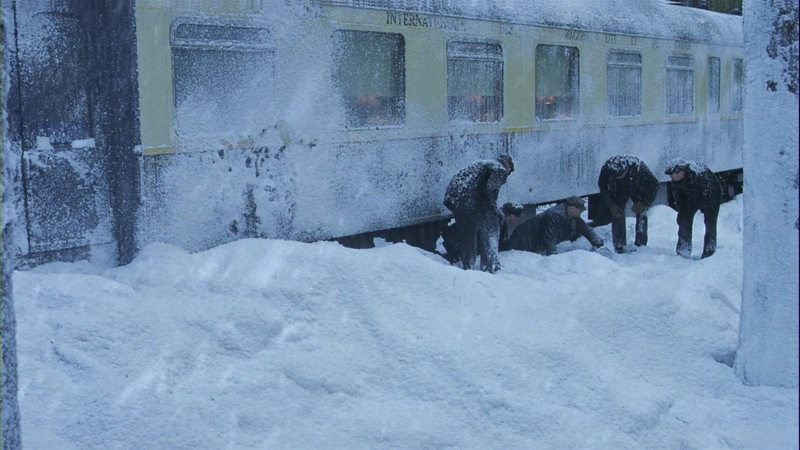 The change is very obvious in Murder on the Orient Express but it had started before now. The change is the heavier theme of religion from the perspective of Poirot. He is very religious and we see this in his routine throughout the film. This includes praying with his rosary in multiple scenes. This is an interesting change in the character but feels a little forced to me. Especially in this story. As blasphemy as it may sound, I find this episode of all of them my least favorite. I see what was trying to be done with the film but it really stands out as different in a way that doesn’t work for me. The Clocks: The Clocks has a slight feel of Foyle’s War to it. We are entering into World War II in the sense that the UK is starting to see the effect of Nazi Germany on the rest of Europe. This becomes a veiled espionage story that begins with a murder. It even has Geoffrey Palmer! Of course the film was directed by his son! Here’s one for the Doctor Who fans. Watching Poirot in this episode working with the military reminded me of the original Doctor working with the military in The War Machines. There is this sort of traditional vs. Modern yet Traditional is always in control. I really enjoyed that aspect of this story. The picture quality on these episodes looks great. It’s much more contemporarily shot than the episodes from the late 1980s and early 1990s. I was looking to see if by this point in the series if the show was still shot on film and transferred. I don’t know the answer. Everything looks good. At this point the series is not of archival interest but more of the look of a contemporary one. David Suchet on the Orient Express (47 min): This is wonderful documentary with David himself, not as Poirot, taking a travel on the Orient Express. This was recorded prior to him making the film. David comes across very genuine. I guess I don’t know what else to expect. I enjoyed it when he was surprised by things he would see or find out about the train. We get a history of the service and we get a look at how it operates today. Now maybe I am biased because I love a travelogue series especially any of the Michael Palin series. This is a wonderful extra that fits perfectly on this set. It is also presented in HD which is nice too. This is the 12th series of Poirot. Those who have been a fan of the series knows that there are 13 series and then it ends. We are near the end of David Suchet playing this amazing character. 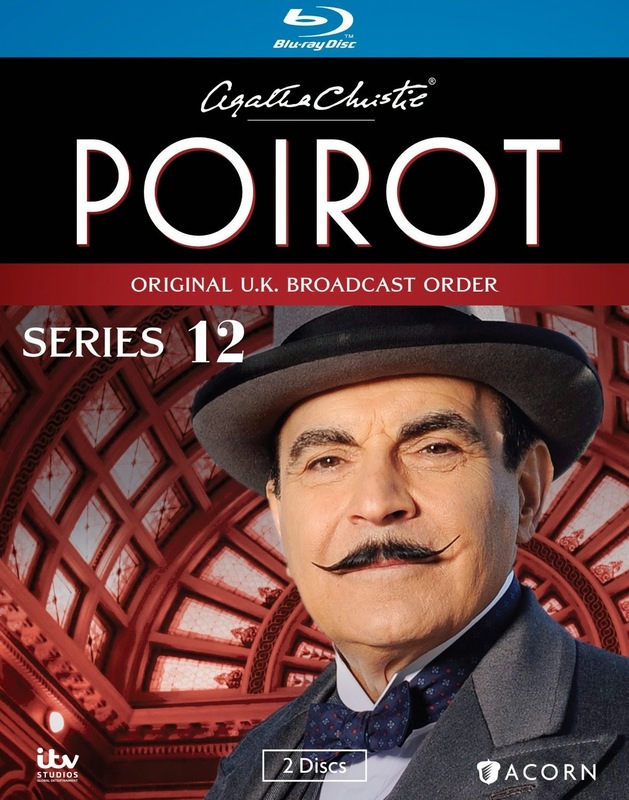 Of course, it was announced a little while ago that Acorn TV will be streaming the final series of Poirot and I will be following it in my article on DVDTalk called Brit-Streaming. Although this review focuses on Series 12 it is also a reminder that this series is available in the US in a quality that is not found just about anywhere else. Check it out because it is worth it! Next Week: As I try to get myself back into my greatest passion, writing about British television, I take a look at the last two episodes of the 1961 classic A For Andromeda with The Face of the Tiger and The Last Mystery. It is always good to remember that it is not just Doctor Who that is missing great chunks of its history. First off, thanks for the post! 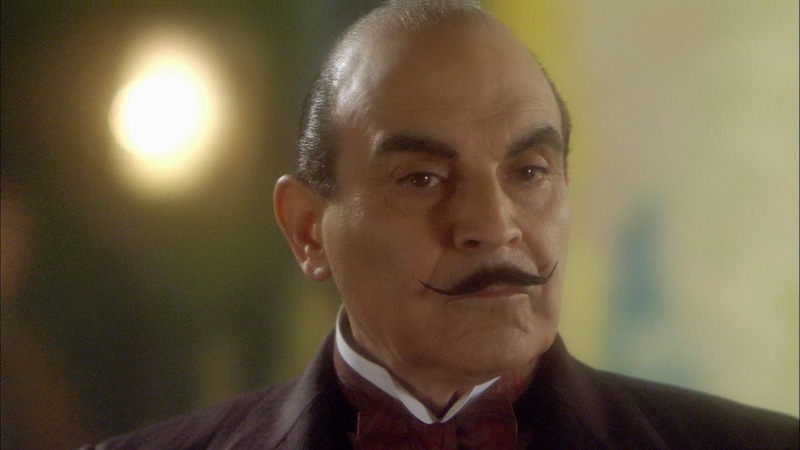 I, like COUNTLESS other fans agree; David Suchet is POIROT. Period. FULL STOP. End of DISCUSSION. I recently saw an ad for the Kenneth Brannaugh version of Murder on the Orient Express and I flipped out in an angry way. I had an ALL CAPS tirade on Twitter about how Kenneth Brannaugh was Poirot like I'm Barbra Streisand. Trust me, I'm not! For me, the gradually aging Poirot brings a greater HUMANITY to the character. When he was younger, he was , as the saying goes, Ten feet tall and bullet proof. But, as with us all, Poirot faced some daunting situations that convinced him that such was not the case. Most especially Labors of Hercules where he is devastated by a failure to protect someone to whom he'd given his solemn word. And that was a sacred trust, once upon a time. With David's (DEFINITIVE) Poirot , there is an emotional back and forth such as fans never saw with him. What changed it for me was the fact that, just about in the entire movie, I was looking for that smile. Poirot 's heart shines through his eyes, and that light was sooo missed. It was a good story and its easy to understand Poirot's conflict because, in his heart of hearts, I'm not sure HE would have known what to do if he was in the place of the family of that little girl. So, possibly, as much as to anyone else, Poirot is preaching to himself. Ironically, in CURTAIN he faces the same conflict. But places himself as one of the passengers on the O.E. Poirot walks into the grey zone to kill a killer before he kills again. And then judges himself before the law of the land can possibly convict him; praying (literally) that le Bon Dieu will forgive him as he is seized by an Angina attack he chooses to allow to take him. Any fans who know the series are seeing snippets of his life go by their mind's eye , almost unable to watch what they're seeing! Emotionally painful because it's so deeply real! The series and Poirot needed that foundation. But he also needed to branch out. 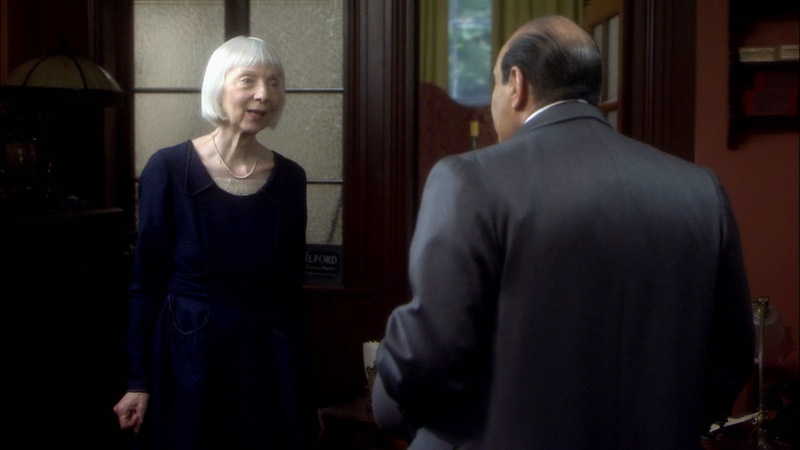 On the other hand, in the last episode, I would have reunited Poirot with his family . He would have gotten a decent SCOTLAND YARD send off, with the gratitude of the law enforcement he'd helped so much over the years.